Jill Falls' cat Monkey doesn't look or act sick. But the beautiful tortoise-shell-colored cat needed to have 15 of her teeth extracted when she was just 2 years old. Her brother Peanut had it even worse; 20 of his teeth were pulled about the same time. All five of Mrs. Falls' cats have had dental problems since they were young, and lots of their teeth have been removed. "The problems were not the normal tartar and gingivitis issues, but other stuff like lesions below the gums," said the Sylvania Township resident. The American Veterinary Dental Society reports that 80 percent of dogs and 70 percent of cats show signs of oral disease by age 3. Disease often is indicated by bad breath, a change in eating or chewing habits, pawing at the face and mouth, and depression. Veterinarians note that 65 percent of dogs with stage one periodontal disease often go untreated; that means a relatively simple problem can become much more significant. Routine dental care contributes to overall well-being and can help maintain a pet's good health well into its older years, said Dr. Jen Tate at SylvaniaVET, which treats Mrs. Falls' cats and her two dogs. "Pet owners don't think to check their pets' mouths on a routine basis," Dr. Tate said. "That's why the annual exam at the vet is so important. Many times owners don't have any idea that their pet is suffering from dental disease." The Sylvania veterinarian routinely performs full-mouth X-rays on dogs and cats. "So many problems are beneath the gum line," Dr. Tate said. Brushing a pet's teeth at home helps greatly in reducing dental disease, she said. "We can show you how to do it gradually to get your pet used to it," she said. "It's also good to get a visual for how you should be doing it." The thinking used to be that pets should eat only dry food, which would help prevent dental disease. "But that's really not the case in the below-the-gum-line diseases," Dr. Tate said. "And there are benefits to the urinary tract and kidneys from eating canned food. So we suggest a mix of canned and kibble." Mrs. Falls' youngest cats, Peanut and Monkey, now 4 years old, were born to Misty, a stray that Mrs. Falls took in. She said Dr. Tate had told her that their dental problems could be hereditary or because their mother did not get good nutrition while pregnant. "When Misty needed to have six teeth extracted [and already had three missing], I didn't think that was unusual," Mrs. Falls said. "She had been outside possibly all her life, eating whatever she could find and getting no vet care. But when her kittens needed to have 15 and 20 teeth extracted when they were 2 years old, that was a shock. Again, it was probably these lesions that are attacking the enamel." The vet performs dental checkups on Mrs. Falls' cats at least annually. "So these extractions are not due to neglect, with tartar and plaque leading to gingivitis," she said. "These extractions are almost all due to resorption lesions [similar to a cavity] that occur below the gum line." These lesions are the most common reason for tooth-loss in cats. The only visual indication is redness of the gums; an X-ray reveals problems below the gum line. One of Mrs. Falls' cats, 10-year-old CC, has had seven dental cleanings, three of which included tooth extractions. "After CC's first couple of dentals where she had these lesions, we don't take any chances," she said. "During her annual exam, if she has any redness of the gum or tartar buildup, she gets a dental." Monkey and Peanut have no difficulty eating. Monkey still has a few teeth, while Peanut has even fewer. "It took him a little while to learn how to eat, and I gave him mostly canned food at first, but eventually he was able to eat dry also," Mrs. Falls said. "They still get both dry and canned, and the only 'special' diet that I went and looked for is dry food that comes in really small pieces." CC and Chloe, another of Mrs. Falls' cats, have been on dry dental food, Hill's T/D, since CC started having problems. "It probably doesn't really help with resorptive lesions, but we figured it couldn't hurt," she said. "If it helps prevent tartar, it still lessens the need for a dental." The other three cats like the expensive prescription food more than their other food, which is still pricey, but not quite so much. So all three, including Monkey and Peanut, also get some dental kibble as well. Although she doesn't brush her cats' teeth, she does brush both of her dogs' teeth on occasion, "but not nearly as often as I should, so they need dentals about every other year," she said. 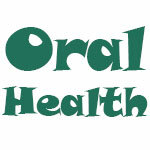 The Ohio State University college of veterinary medicine's Community Practice, which offers dental care at the Columbus campus, advises that the first sign of dental disease often is bad breath, redness along the gum line, tartar, or calculus. The pet may be eating more slowly or carefully than before. Periodontal disease is the most common ailment among small animals, according to OSU. This begins when bacteria accumulates at the gum line around the tooth. Unless brushed away daily, these bacteria can cause inflammation, bleeding, and if untreated, can cause tooth and/or bone loss, according to the vet school. The college also performs restorative and prosthodontics work such as crown therapy -- three-quarters and full coverage -- enamel defect and caries restoration, and dentinal bonding. It also offers orthodontics including bite evaluation, orthodontic appliances, and correction of malocclusions, which is the misalignment of teeth. Like people, dogs and cats can suffer from TMJ disease. Temporomandibular joint disorder is a term covering acute or chronic pain, especially in the muscles of mastication and/or inflammation of the temporomandibular joint, which connects the lower jawbone to the skull. Dogs and cats that see vets at OSU are also treated for myositis, or muscle inflammation, stomatitis, or oral inflammation, and malocclusion-treatment planning. Mrs. Falls has found the most important thing she can do for her pets is to have the vet see them every year, even if they don't appear to be sick. "And have the dental procedure if it is recommended," she said. "Do not let tartar build up and cause rotting teeth and gingivitis. Listen to your vet, and get a second opinion if you have doubts." Contact Tanya Irwin at: tirwin@theblade.com or 419-724-6066.